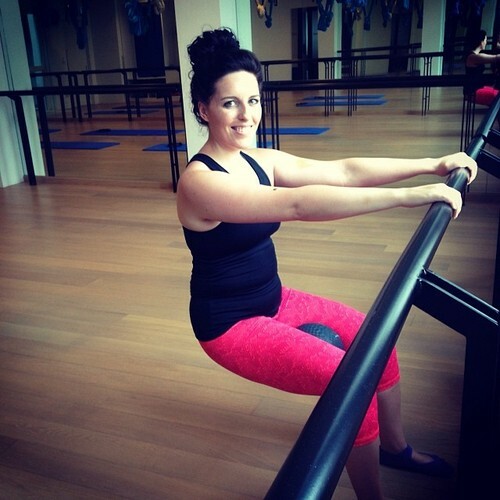 UM: What made you decide to start Xtend Barre? Jessica: I was looking for an interesting new way to improve my fitness. Treadmills and ellipticals just weren’t cutting it anymore. I had always wanted to try barre back home in the U.S., so I was really excited to find Xtend Barre at Upside Motion when I moved to Singapore! UM: What keeps you coming back to class? Jessica: I always know I will be challenged during an Xtend Barre class. Even after doing classes regularly for months it is still a challenge every single time. That’s what makes it so rewarding! I know I am putting my body through an intense workout that will bring great results. Plus, all of the Upside Motion Xtend Barre instructors are so positive and always strive to give you a great workout. UM: What do you most look forward to in class? Jessica: I look forward to noticing the changes in my strength, flexibility, and stamina. Week to week I notice I am able to last longer without a break and push myself a little further. We also listen to some really great music during class, which helps keep me motivated. UM: If you weren’t doing Xtend Barre what would your exercise program look like? Jessica: Boring. Probably elliptical and free weights. UM: When you are on holiday, do you do some of the Xtend Barre exercises on your own? Jessica: I do some exercises, like planks, on my own. I will be going back home to the U.S. for an extended holiday soon and I have already started scouting barre studios so I can keep up with classes! UM: How would you describe Xtend Barre to someone who has never heard of it? Jessica: I would describe Xtend Barre as a total body workout that lengthens and strengthens muscles through a fusion of Pilates and ballet. UM: How does class make you feel? Inside and out? Jessica: Amazing and strong! Xtend Barre has had a tremendous impact on my body, which in turn boosts my confidence and happiness. What more could you ask? !